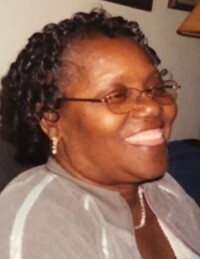 Obituary for Hattie Veronica Townsend | Grace Memorial Chapel LLC. Mrs. Hattie Veronica Townsend was born June 18th 1947 to the late Sam and Annie Ervin. Hattie graduated from East Highland High School in 1966. She was employed by Avondale Mills where she worked for twenty five years before she retired due to health reasons. Hattie received Christ as her Savior at her home church Rising Star Missionary Baptist Church. She was an active member at Mt. Olive Missionary Baptist church for tweny years, where she worked on the Usher Board and Kitchen Committee before attending her current church Mt. Home Missionary Baptist Church where she continued to serve the Lord in various ministries. Hattie was part of Sylacauga Ministry Wives, Worshiper’s of Christ of Childersburg, and attended Monthly Missionary Fellowship. Hattie was very social and enjoyed making others laugh and making jokes. She will be greatly missed with her outspoken ways. Hattie and George was married for 51 loving years, uniting in Holy Matrimony. Hattie accepted her call home on August 1st 2018 at St. Vincent Hospital in Birmingham, Al. Hattie was preceded in death by her parents Sam and Annie Ervin, brothers; Thedrick Ervin, Tareyton Ervin, Thomas Averitte. Sisters; Earnestine Fittcher, and Doris Nix. Brother in laws; Charles Townsend, John Townsend Ray Jeffries, and Cleo Ebron. Hattie leaves to cherish; a loving husband George, two daughters; Heather McCaulley of Harvest, Al and Tamala Townsend of Childersburg, Al, one son; Kelvin Townsend. Three sisters; Willie Bell ( Clarence) Foster, Gwendolyn Jeffries, both of Sylacauaga, Al and Elizabeth Ebron of Washington D.C. six brothers; Sam ( Rose) Ervin of Corona Queens, New York, Fred Ervin, Lawerence Ervin , Broderick Ervin, Theophlis Ervin and Steven Ervin, all of Sylacauga, Al. two granddaughter; ShaKeva Pope, and Amber Townsend, four grandsons; Tristian Garrett, Ameir Townsend, Joshua Townsend, and Luke McCaulley. Four great grand children. She also leave her precious memories with a host of nieces, nephews, and other friends and relatives.